Well, here's my first post. I thought it might be fitting to share one of my first real knitting projects. This is not including my brief stint as a knitter in fourth grade when I made a rather short scarf for my mother and a couple of doll blankets. My skills have greatly improved since then and now I have a niece and nephew to practice projects for. 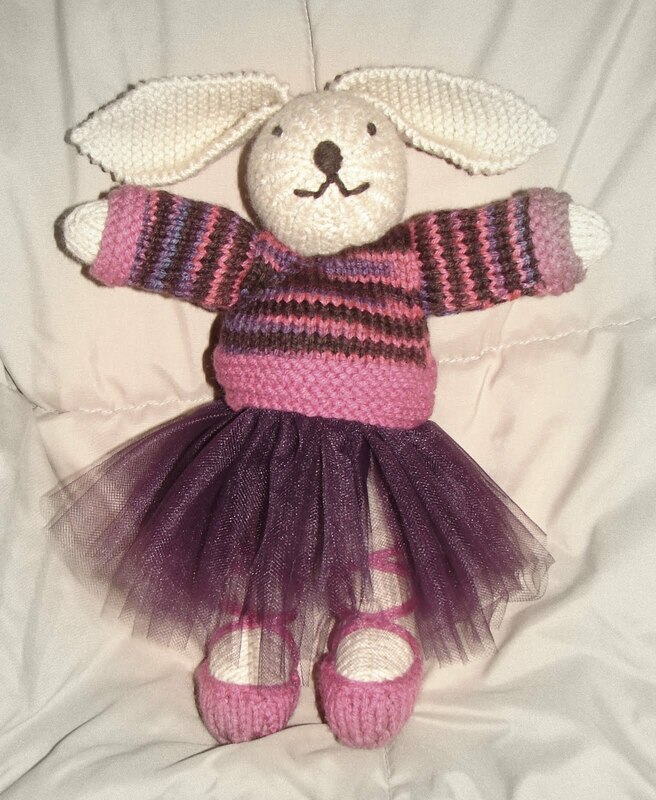 Here is a ballerina bunny that I knitted for my niece a couple of years ago. 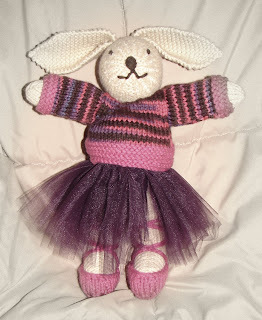 The pattern for this bunny is in the Debbie Bliss book Toy Knits. I am a huge fan of Debbie Bliss's books, especially the baby ones. These are the books, after all, which taught me to knit again. They have helped me hone my knitting and purling and have taught me how to increase and decrease. Thank you Debbie Bliss!